A precious cake for a precious friend. 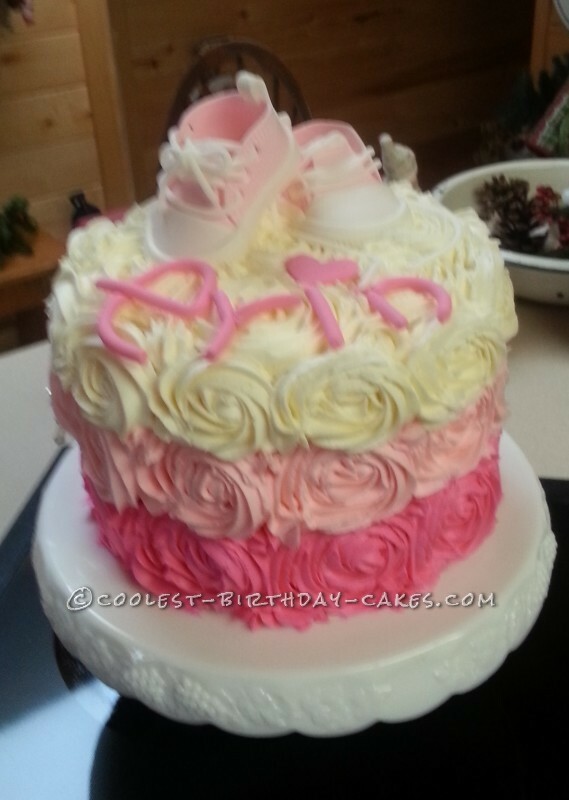 The baby shower cake was a true work of love and joy for a wonderful friend of my daughters…and to all of us. She has been such a help in so many ways when it comes to my granddaughters. She is a wonderful friend, kindergarten teacher, mother…and I could go on and on. Instead I will just say you are loved and thank you!! 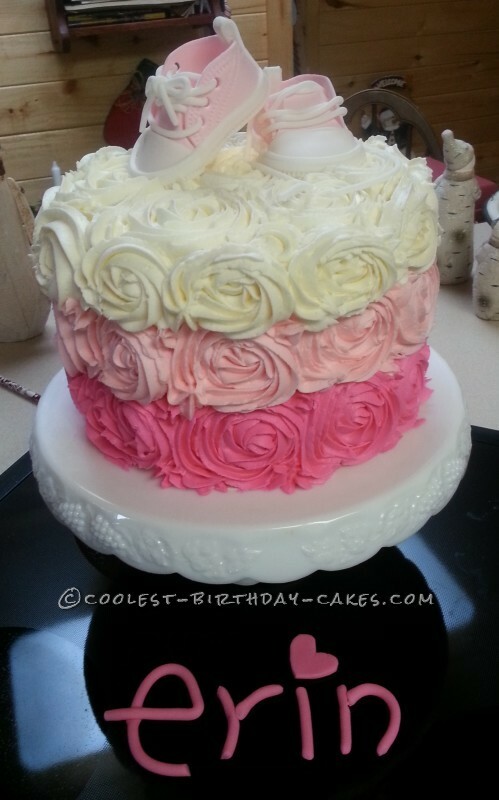 The cake is just a 3 layer round white cake smothered in rich buttercream. 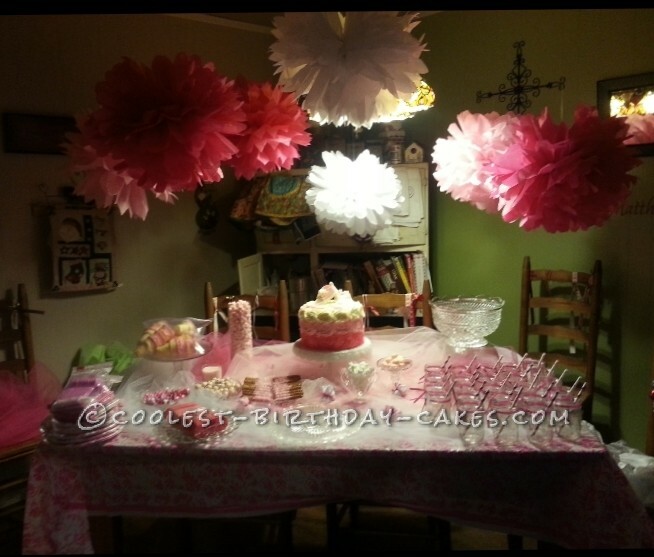 On the inside I tinted the cake mix to correspond with the graduated colors of the rosettes on the outside. The cake was really pretty when it was sliced and super tasty. I hand crafted the pink converse tennis shoes with a half and half mixture between fondant and gum paste. 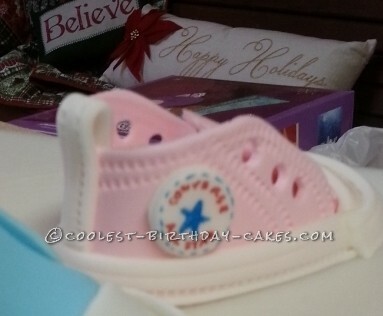 The little converse label on the side is fondant and written on with food markers. I have included a picture of the shower so you can get an idea of how pretty it looked…they were almost in tears…and it was a labor of love.